The Employment Relationship presents a controversial perspective on an area hitherto dominated by industrial relation experts and radical sociological theorists. 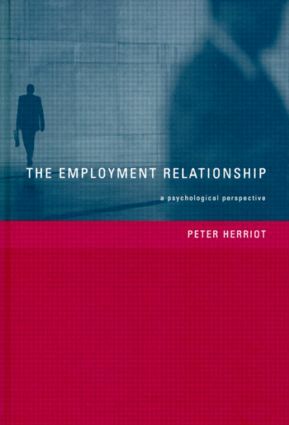 Exploring some of the metaphors commonly used to describe the employment relationship, Peter Herriot argues that it is often their dark rather than their bright side which best expresses how employees really feel. Human resources sometimes feel like human discards! The main culprits in this situation, he suggests, are the top managers who fail to treat employment as a relationship and employees as individuals. He concludes that management rhetoric must be replaced by real dialogue and points to three issues where this is most crucial: employee compliance, contractual inequalities and the need for organisational change. The Employment Relationship will make essential reading for all managers and occupational psychologists. It will also be of interest to students of work psychology, human resource management or organisational behaviour.